The Star Plaque Plates, made from solid brass sheets, are an excellent addition to any office. 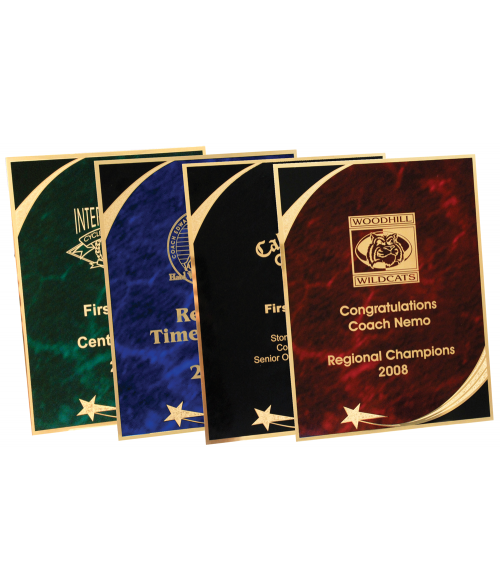 Available in three sizes and four colors, these plaques plates are sure to be popular in any show room! Laser engraving will reveal the polished brass under the printed marble design for wonderful contrast. Star Plaque Plates will attach easily to any of our Wood Plaques by using our LaserBits Plaque Mounting Tape.